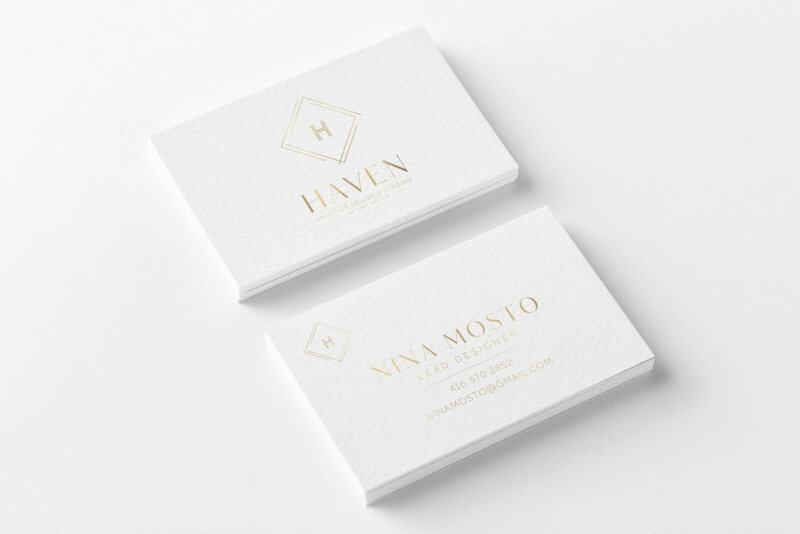 Nina Mosto, the designer behind Haven, wanted a logo that would embody a simple, soothing, chic, elegant look. After many sketches, we landed on the concept of the triangular “roof,” providing a “haven” and created the minimalist diamond surrounding the “H” as our main logo mark. This logo is stylish and elegant - just like Nina herself. Create a simple, elegant logo, mark, & business card design for Haven Interior Designs & Staging.